“…Deep in the night, we were awakened by the clank of caterpillars and the roar of armored personnel carriers moving from Yasamal cemetery downwards, apparently to administrative buildings,” says Ilgar Valizade, witness of the 20th January tragedy. “I opened the door and two tracer bullets flew past me. Houses in our neighborhood were under fire." This is how an eyewitness remembers the bloody tragedy perpetrated against the Azerbaijani people on January 20, 1990. The mass punishment of people demonstrating their unwavering will to independence from the Soviet empire after 70 years of subjugation was cruel and unexpected. Despite 28 years pass since this tragic event, the day like the reel of film still scrolls in front of eyes of witnesses: anxious Baku, bullets glittering in the darkness, tanks and hum of armored vehicles, dead bodies scattered through the streets, hospital wards filled with hundreds of wounded. The reasons of January tragedy go deep into history, beginning from the territorial claims of Armenians against Azerbaijan. Everything began when Baku residents came out to protest against the policy pursued the then USSR leader Mikhail Gorbachev, since Armenian nationalists demanded joining the Nagorno-Karabakh Autonomous region of Azerbaijan to Armenia. Back in 1987 the Armenian academics and official figures claimed to the Karabakh region of Azerbaijan and conducted propaganda in this direction. Taking advantage of Soviet Union’s last leader, Mikhail Gorbachev’s perestroika policy, Armenians once again resumed their insidious policy towards Azerbaijan. Then, the Soviet government had an intention to realize the Armenian policy by diplomatic means in 1988, but failed because millions of Azerbaijanis headed to the streets to protest Armenian aggression and separatist forces fueling unrest in the ancient land of Azerbaijan -- the mountainous Karabakh region. Azerbaijani people launched the square movement to defend their rights and mother land. Indeed, the Central government sent military forces to suppress the national movement and even crushed the rebellions by force. But that was temporary. Azerbaijanis were determined to protect their territorial integrity and did not step back, showing their sacrifice and vigor for the national freedom. But the protests received totally inadequate answer -- the Soviet troops committed unimaginable atrocities in Baku from the late hours of January 19 into January 20. Some 26,000 hostile and aggressive-minded Soviet special forces called “Alfa” entered Baku to perpetrate atrocities against the Azerbaijani people. They stormed and murdered hundreds of civilians without declaring a state of emergency. Around 10pm in the evening deafening silence suddenly covered the city after demolition of the central television station and termination of phone and radio lines by the Soviet army. The people were deprived of the right to access information. Some 137 people were killed, 611 were wounded, 841 were illegally arrested, and five went missing as a result of the intrusion of troops into Baku and other regions of the country. Deputy Director of the Institute of History of the Azerbaijan National Academy of Sciences Jabi Bahramov noted that this brutal and ruthless act, which has no distinctive feature from German fascism, will always be remembered and never disappear from our history. Bahramov said that the best answer to these questions was given by the National Leader Heydar Aliyev during his speech at the permanent representation in Moscow by noting that this is an encroachment, a crime towards Azerbaijani nation. The nation still feels painful impact of this tragedy as there is a great number of injured and dead. Bahramov added that there is community for this people where they meet and exchange their views regularly. 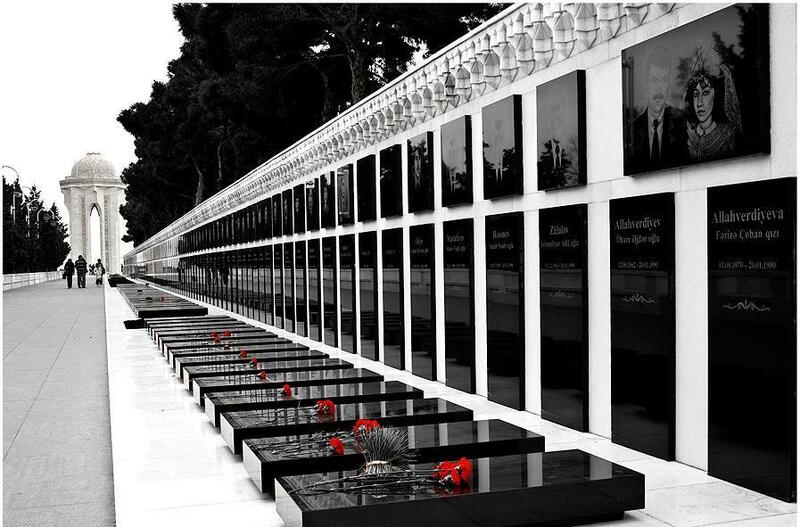 Though the Azerbaijani people suffered military, moral and political aggression, they displayed their ability to maintain the traditions of historical heroism and resist the cruelest attacks for the sake of the freedom and independence of their motherland, even at the cost of losing their lives. This is a mourning day in Azerbaijan to commemorate all martyrs, who sacrificed their lives for the bright future of the nation.